ENVELOPE : Ivory Color 250 gsm Matte Finish Paper. 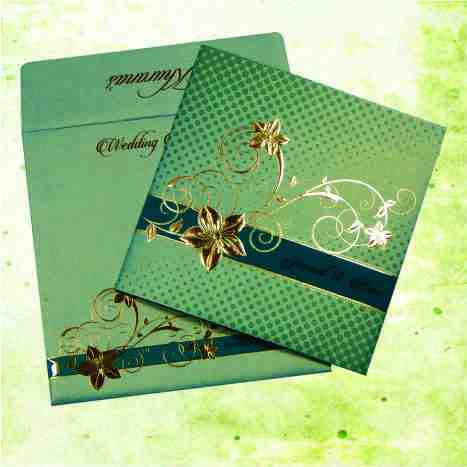 MAIN CARD : Brown Color 250 gsm Matte Finish Paper with Bride & Groom Names Printing. Main Card has a laser Cut Ganeshji Motif, it can be change to name initials.